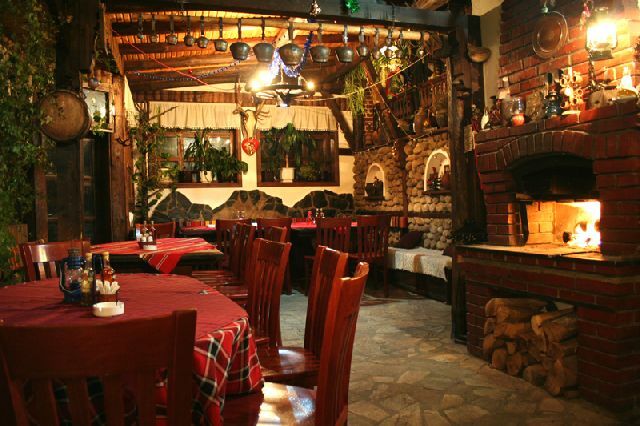 Bansko is full of “Mehanas”, traditional-style taverns where Bulgarian food is washed down with copious quantities of local wine and spirits. Each mehana tries to cultivate a folksy feel through its choice of wooden furnishings, stripey tablecloths, brightly-coloured textiles and stone-clad walls (although these ethnic interior elements are becoming so standardized that it’s become increasingly difficult to tell one mehana apart from another). 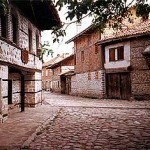 The other characteristic feature of the Bansko Mehana is the presence of Macedonian folk music. Dining out in Bansko can be a wonderfully raucous experience. If neither Bulgarian food nor music are quite your cup of tea, then Bansko offers respite in the form of pizzerias, a couple of steakhouses, and a reasonable range of international food in the restaurants of the bigger hotels.